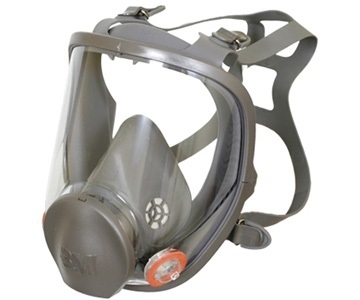 3М 6000 series full face mask respirator. Lightweight (400g) mask with a soft, non-allergenic elastomeric facepeice and a broad field of vision polycarbonate scratch resistant lens. Well balanced four strap head suspension. Twin filter design, bayonet connection system. 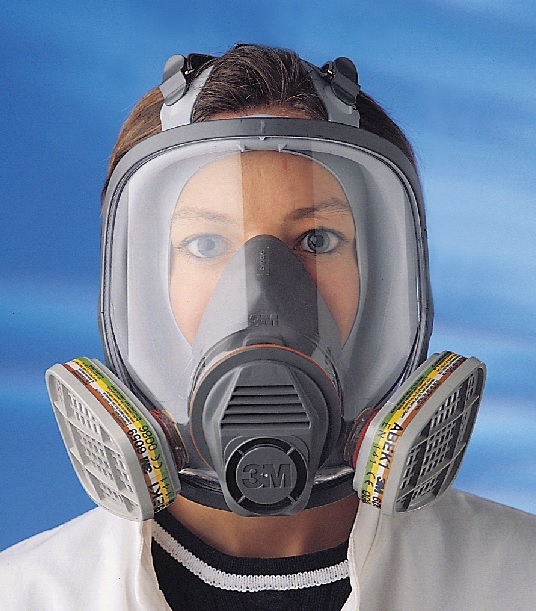 Depending on the filters attached the mask will provide protection from gases, vapors or/and particulates. Available in three sizes: S (6700), M (6800), L (6900).